JovenSpider ha preparado un excelente fan trailer de Scream 4. El resultado es impresionante. No os lo perdáis. 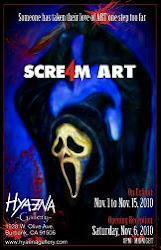 JovenSpider has prepared an excellent fan trailer for Scream 4. The result is impressive. Do not miss it. Estamos trabajando en la sección de documentales de Scream. Poco a poco iremos añadiendo datos de Behind The Scream, Still Screaming y Scream: The Inside Story. No os lo perdais. Ya podeis visitar el pequeño espacio dedicado a Behind The Scream. Seguiremos ampliándolo. Actualización: Las secciones de Still Screaming y Scream: The Inside Story ya están disponibles. Seguiremos ampliándolas. We are working on the Scream documentary section. Gradually we will add data from Behind The Scream, Still Screaming & Scream: The Inside Story. Do not miss it. Now you can visit the small space dedicated to Behind The Scream. Soon will continue to spand it. Update: Still Screaming and Scream: The Inside Story sections are now available. Will continue to expand it. Dewey Riley, the "alleged" Stab 3 technical advisor has his own Star Waggons trailer. Martha Meeks gets into it and hopes to find him. When Dewey, Sidney and Gale come to the movie studio from the police station ... Martha leaves the trailer to say "hello". The four watch the Randy´s video in the Dewey´s trailer. Barely noticeable, but there is a sticker with his name: Dewey Riley. Con motivo del 14 aniversario de Scream, la empresa Neca Toys ha facilitado una imagen de la figura de Ghostface que ellos están preparando. Saldrá a la venta paralelamente al estreno de la película, y al parecer ésta imagen pertenece a un prototipo. Dicen que todavía no está terminada. 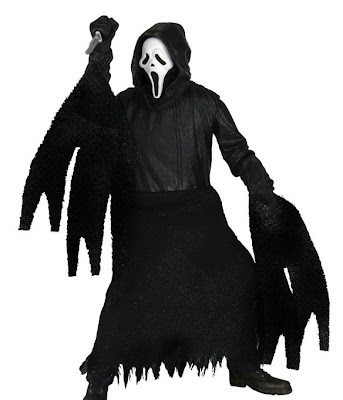 To mark the 14th Scream anniversary, the company Neca Toys has provided a picture of the figure of Ghostface they are preparing. It goes on sale alongside the premiere of the film, and apparently it belongs to a prototype image. They say that is not yet complete. Es oficial: Mayo de 2011. Wide Pictures distriburiá Scream 4 en España, no Aurum. Parece que Wide Pictures será la distribuidora que se haga cargo de Scream 4 en España. En breve, comenzará la promoción en España. It's official: May, 2011. Wide Pictures will be the Scream 4 distributor, not Aurum. It appears that Wide Pictures will be the distributor to take charge of Scream 4 in Spain. In short, the promotion will start in Spain. Remember that the distribution of Scream, Scream 2 and Scream 3 was responsible Lauren Films. 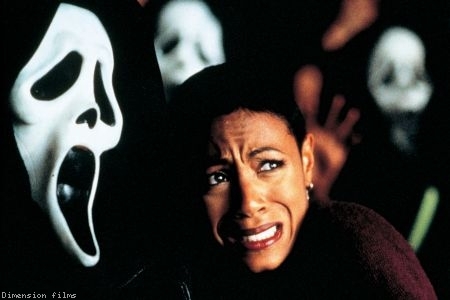 Scream was released four months after its release in USA (April 1997), Scream 2 also 4 months later (April 1998) and Scream 3 only two months later (April 2000). Hoy, día 20 de diciembre de 2010, se cumple el décimo cuarto aniversario del estreno de Scream (1996) en 1413 salas de cine de USA (en España el estreno fue el 10 de abril de 1997). La recaudación de ese fin de semana fue de 6,354.586 millones de dólares y alcanzó el puesto número 6 en la taquilla. El día 18 de diciembre se celebró la premiere en Los Ángeles. Ceremonia a la que también asistieron Patrick Dempsey (el futuro detective Kincaid) y los actores de la serie Friends. Today, December 20th, 2010, marks the fourteenth anniversary of Scream (1996) release in 1413 USA cinemas (in Spain, the premiere was on April 10th, 1997). In this weekend grossed 6,354.586 million dollars and reached number 6 in the box office. December 18th, the premiere was held in Los Angeles. Ceremony was also attended by Patrick Dempsey (later Detective Kincaid) and actors from Friends tv series. Kristen Bell ha sido entrevistada por Manny The Movie Guy (por el estreno de Burlesque) y en HelloSidney.com puedes encontrar el video donde se le pregunta por Scream 4. No ha dicho ni una sola palabra. Kristen Bell has been interviewed by Manny The Movie Guy (for the release of Burlesque) and on HelloSidney.com you can find the video where she is asked about Scream 4. She has not said a word. A pesar de ello, es díficil imaginarse su cara. En el documental E! True Hollywood Story: Scream, no pudimos ver su rostro. However, it is hard to imagine his face. In the documentary E! True Hollywood Story: Scream, we could not see it. Image taken from the dvd extras of Powerpuff Girls Film (2002). 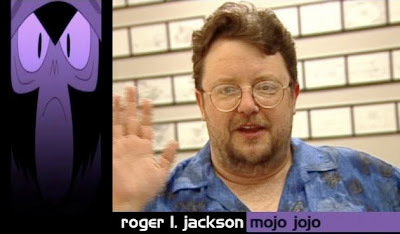 Roger L. Jackson plays Mojo Jojo. Imagen tomada de los extras del dvd de Las Supernenas: La Pelicula (2002). 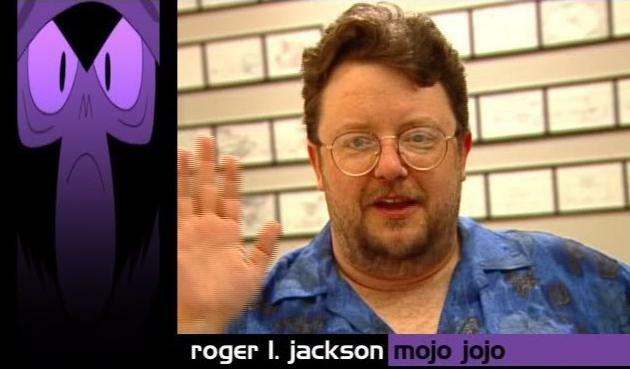 Roger L. Jackson interpreta a Mojo Jojo. 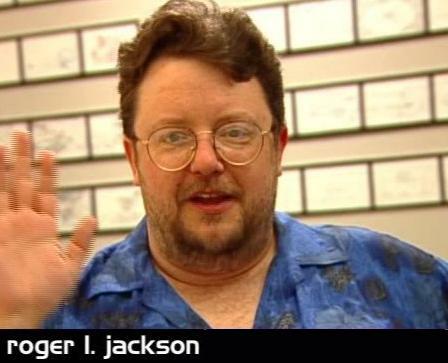 Otra foto de Roger L. Jackson que todos conocemos. Another photo of Roger L. Jackson we all know. Curioseando en imdb.com hemos encontrado una noticia antigua de Scream 4. En concreto de junio del año 2000 (4 meses despues del estreno de Scream 3), y contiene algunas declaraciones del director Wes Craven. Snooping on imdb.com we found an old Scream 4 news. 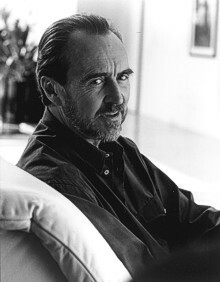 Specifcally June 2000 (four mouths after the release of Scream 3) and contains certain statements of director Wes Craven. Scream 4 será la primera película de Scream que no lucirá el sello Miramax. Aunque fueron los hermanos Weinstein quienes fundaron la compañía en 1979, y la dedicaron a películas independientes, en 1993 fue comprada por la productora Disney por 70 millones de doláres. En 2005 las malas relaciones entre Eisner (Presidente de Disney) y los hermanos Weinstein provocaron el divorcio. Disney se quedó con el nombre Miramax y con todo el catálogo de Dimension Films. Bob y Harvey crearon una nueva empresa llamada The Weinstein Company y conservaron la división Dimension Films (aunque sin acceso a los títulos). Poco despues intentaron comprar el "nombre" Miramax pero les fue imposible debido a la gran suma de dinero que Disney pedía. Por eso hasta ahora... Scream, Scream 2, Scream 3, Halloween H20, The Faculty... siempre han sido reeditadas solo por Buenavista. Desde 2003 las relaciones están rotas y han sido la misma Buena Vista o la misma Miramax quienes se han encargado de la distribución en cines y dvd: Kill Bill 1, Kill Bill 2, Planet Terror, Death Proof, Cursed... En 2007, con Halloween de Rob Zombie necesitaron el apoyo de Fox y Halloween II (Rob Zombie) aún no se ha estrenado en España. 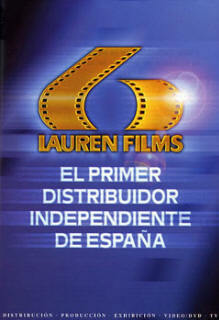 Por si fuera poco, aproximadamente hace 3 años, Miramax denunció a Lauren Films por seguir distribuyendo sus títulos sin su consentimiento. 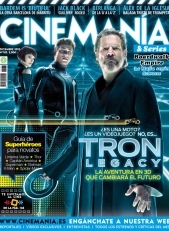 Meses despues la propia Buena vista editaba en dvd, de nuevo, el catálogo de Dimension Films y Miramax. ¿Qué ocurrirá en España? No sólo el proceso de doblaje puede retrasar el estreno en nuestro país, también la ausencia de una distribuidora que colabore con The Weinstein Company para distribuirla. De momento, Scream 4 sigue sin distribuidora y la campaña publicitaria no ha comenzado. Scream 4 is the first Scream movie that will not look the Miramax label. Although the Weinstein brothers founded the company in 1979, and dedicated to independent films, in 1993 was bought by the Disney Company by the amount of 70 million dollars. In 2005 the poor relations between Eisner (Chairman of Disney) and the Weinstein brothers caused the divorce. Disney took the Miramax name and the full range of Dimension Films. Bob and Harvey created a new company called The Weinstein Company and retained the Dimension Films division (albeit without access to titles). Shortly after they tried to buy the "name" Miramax but it was impossible because of the large sum of money that Disney asked. So far... Scream, Scream 2, Scream 3, Halloween H20, The Faculty ... have always been re-edited only for Buenavista. Since 2003 relations have been broken and Buena Vista or the same Miramax have taken charge of the distribution in cinemas and on DVD: Kill Bill 1, Kill Bill 2, Planet Terror, Death Proof, Cursed ... In 2007, Rob Zombie's Halloween needed the support of Fox in spanish distribution and Halloween II (Rob Zombie) has not yet been released in Spain. To make matters worse, about 3 years ago, Lauren was reported by Miramax Films because spanish company distributed the catalog without the consent. Months after Buena Vista released on DVD, again, the list of Dimension Films and Miramax. What will happen in Spain? Not only the dubbing process can delay the release in our country, also the absence of a distributor to work with The Weinstein Company for distribution. 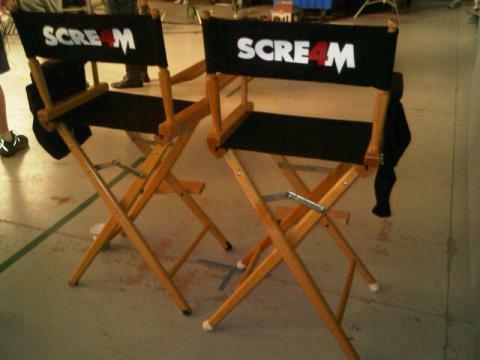 For now, Scream 4 is without a distributor and advertising campaign has not begun. 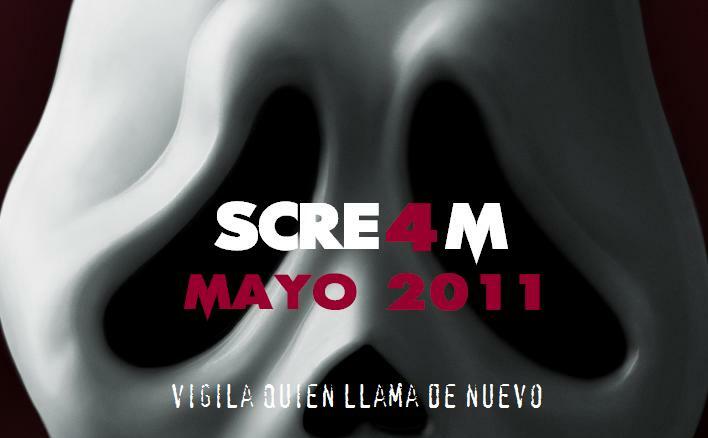 Fiebre Scream 4!/Scream 4 Fever! La campaña publicitaria de Scream 4 está apareciendo poco a poco en todos los países, en su prensa especializada en cine. Ahora, gracias a ArvinJaz, sabemos que también en los periódicos suecos. La fiebre de Scream 4 ha comenzado. En España Scream 4 sigue sin tener distribuidora, ni fecha de estreno oficial. 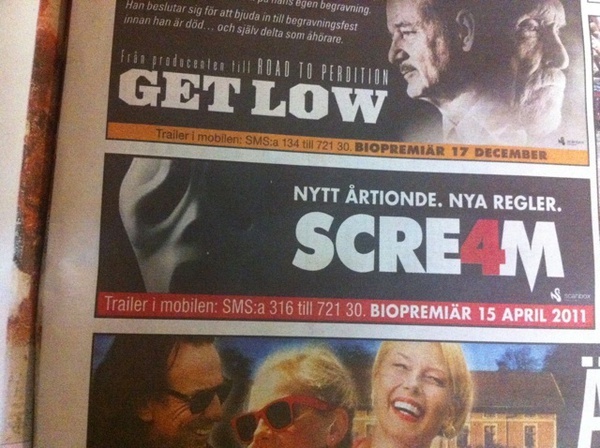 Advertising campaing for Scream 4 is emerging gradually in all countries, in press film. Now, thanks to ArvinJaz, we know that even in Swedish newspapers. Scream 4 fever has begun. In Spain, Scream 4 still has no distributor, no official release date. Thank you very much, ArvinJaz. Alliance Vivafilm, la distribuidora de Scream 4 en Canadá, está haciendo público el trailer doblado en francés. El usuario de youtube Movieval lo ha compartido a través de su cuenta. Alliance Vivafilm, the distributor of Scream 4 in Canada, is making public the trailer dubbed in French. Movieval youtube user has shared across his account. Os mostramos un antiguo artículo, del año 1999, escrito por Megan Anderson, la creadora de Scr3am.net. En él, la webmaster comenta algunos detalles del proceso de pre-producción de la tercera parte de Scream. We show you an old article, from 1999, written by Megan Anderson, owner of Scr3am.net. In it, the webmaster said some details of the third Scream pre-production. "Today I received an email from a seemingly reliable source who provided me with some information and rumors that haven't been said before. Some of which are potential minor spoilers. This source (if telling the truth) has contacts close to the production, so we get a few peeks into some things that haven't been announced. First off, he told me a bit about the Kruger/Williamson controversy. Apparently Kruger came in in the beginning of June to help lighten Kevin's work load. Kevin wrote the beginning and ending first, so Ehren only needed to write the middle portion of the film, which Kevin then made extensive rewrites of. He (Kevin) also insisted he be given writing credit when the movie is released. This scooper really admires Kruger as a writer and says that the script is more funny than it is scary, however it's also more of a psychological thriller (which I hear Kruger is very good at). The entire script has been seen by no one around the production, only bits and pieces. One scene in particular impressed this source which involves Sidney in a very dramatic scene. Word has it [that] might be cut, but that hasn't been decided yet. Personally, it sounds like a great scene and I hope it remains in the film. It is a minor spoiler, but the scene is said to have Sidney considering suicide. Kruger wrote an excellent speech for Sidney to give during this scene, where she contemplates what's real and what isn't, and how she feels she is just watching her life rather than living it. Speaking of cut scenes, only one is said to have been cut due to the recent school shootings. A particular scene took place in a school, only with knives as opposed to guns. It is said to have been very disturbing and was in good taste that it was removed. As we know, the killers in Scream 2 weren't revealed to even the cast members until the last few days of shooting. That is likely to happen again especially considering the killer(s) haven't been decided on yet. The cast is allegedly almost in place, though who exactly the cast is is being kept quiet. One person mentioned is a name I haven't heard tied to this film before and that is Anne Heche. It is said she might be up for a part that is similar to Gale: possibly a reporter on the set of Gale's new movie (which, incidentally might not be Stab 2). Heche appeared in I Know What You Did... so it might not be completely unheard of for her to have a role in this one. 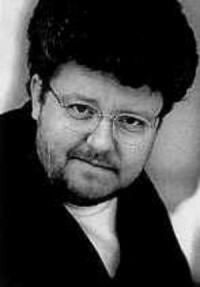 A little more was said about Heche in particular being relevant to the role. It said her character would be killed in a similar fashion to her role in Psycho. Which is why they would want Anne in particular. As far as the rest of the cast goes, don't expect as many TV stars as have been predicted, especially those of Dawson's Creek and Felicity. However, those of Buffy don't seem to have been ruled out yet. Alicia Silverstone is apparently still being courted for a role, but she has made it clear to the studio that she will have no part in it. The two other most popular names that have been linked to the film are Heather Graham and Ben Affleck. This source tells me they won’t have a major role in the film. Note the word "major." There is apparently room for plenty of celebrity cameos seeing as the setting is LA. In addition, it is said to be a bit of a satire on Hollywood itself. Roger Jackson is indeed returning and he says he likes his part. It looks like he might have a stronger presence this time, in more ways than one. Si quieres votar sólo tienes que hacer click sobre el siguiente link: PopWatch. Gracías a Ghostfacecouk por el aviso. 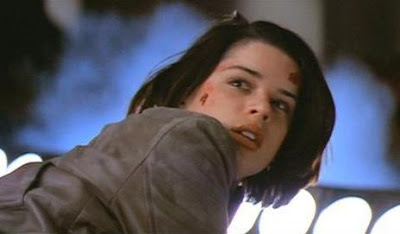 Neve Campbell llevaba algunos años alejada de la gran pantalla. Sus últimas películas habían recibido poco apoyo y pasaban desapercibidas, y The Philanthropist (TV serie) fue cancelada. De modo que imaginamos que eso es lo que la animó a firmar por Scream 4. Ahora no había peligro de verse encasillada. Suponemos que ha aceptado que no hay nada malo en ser recordada como reina del grito. Mejor eso que ser olvidada. Pues bien, tras toda la publicidad que ella ha conseguido con Scream 4, parece que las ofertas no se han hecho esperar. Se rumorea (o al menos eso comenta Hollywood Reporter) que está en negociaciones para participar en una película titulada "Singularity", en la que ella interpretaría a la mujer del personaje de Josh Hartnett. Neve Campbell has been away for a few years from the big screen. Her latest films have received little support, and The Philanthropist (TV series) was canceled. So we imagine that is what encouraged her to sign for Scream 4. Now there was no danger of being typecast. We assume that she has accepted that there is nothing wrong with being remembered as a scream queen. Better that than be forgotten. Well, after all the publicity she has gained with Scream 4, it appears that the offers have been expected. Rumor says (or so says Hollywood Reporter) that she is in negotiations to participate in a film called "Singularity", in which she would play the wife of Josh Hartnett's character.